What an odd thrill it is — while 30,000 feet somewhere over the Midwest — to read a chapter in Andrew Santella's new book SOON, when that chapter is about me, at least in part. SOON is a great read: fun and funny, thoroughly researched and intensely personal, both an examination of and an apologia for procrastination. I remember getting the email from Andrew requesting an interview, and how much fun he sounded over the phone. I did not hesitate to invite him to Newnan to meet the Lichtenbergians, and he was no less fun in person. He and I walked around town, had dinner at the Meat 'n' Greet and then settled in around the fire pit in the labyrinth with whichever Lichtenbergians were available. As he says in the book, conversation and cocktails flowed freely. He told me a few months ago that the Lichtenbergian Society would be featured in Chapter 6, but it was still amazing to open the book to that chapter and see our motto heading the page. One of the cooler moments of my life, and I've lived a pretty cool life. But that's merely a quibble, and what are second editions for but to make corrections? Andrew does a masterful job dissecting the impulses (and anti-impulses) behind TASK AVOIDANCE, showing how some of our greatest minds were at heart Lichtenbergians, and for the sasme reasosns. 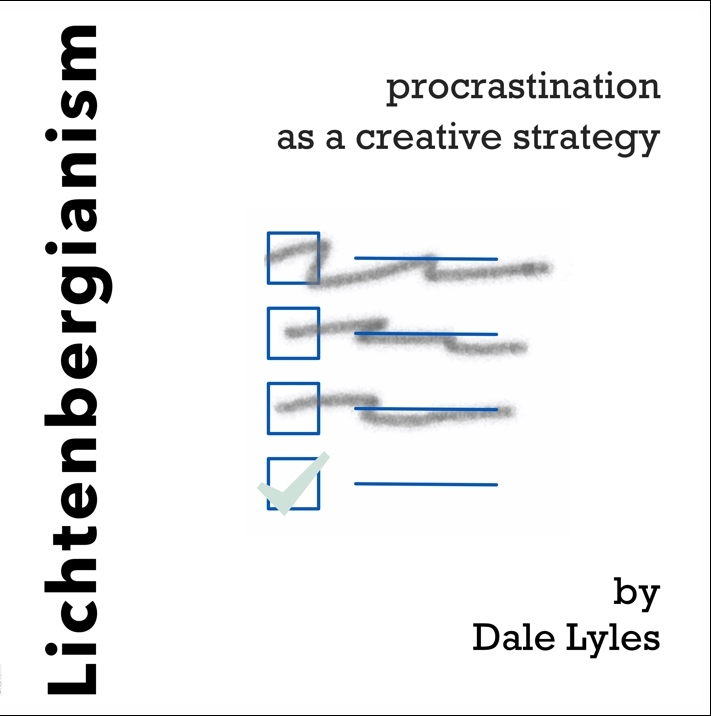 He also mkes the book a full confession of his own procrastinatory habits, and I wish I could say he's worse than I am, but he's not — but after finishing SOON I feel I am more empowered to get ot work on my next three books. Eventually.